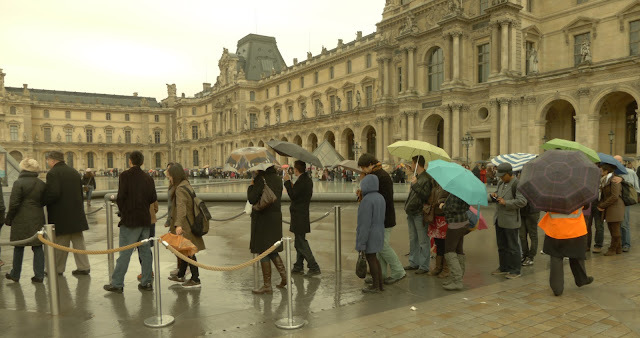 The line for the Louvre stretched to the far corner of the building. ﻿﻿﻿﻿﻿Museums rarely top my list of “things to do” while visiting a city because I’m usually more interested in tracking down and sampling local food specialties. I’m not sure, but I think that I may still hold the world record for the fastest visit of the Uffizi Gallery in Florence because there was a gelato place nearby that I absolutely had to try. 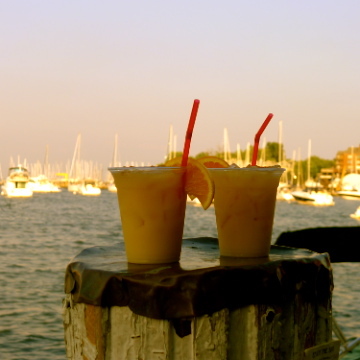 Mmmm, I can still taste the chocolate and coconut! Anyway, I've vowed to mend my ways and to explore the Louvre, something that I've always been too distracted to do during previous visits to Paris. ﻿﻿As the 23 National Museums offer free admission on the first Sunday of the month, I thought that yesterday would be the perfect day to visit one of them. I guess that everyone in Paris had the same idea because there was a two hour wait to get into the Louvre. Fortunately, our destination was the Museum of the Legion of Honor, which is located directly across from the Musée d’Orsay. For Americans, in particular, it's worth taking a minute to look at the facade of the Museum of the Legion of Honor to see if it reminds you of another building. I'll give you a hint, it's in Virginia. According to the guide of our “Jefferson and Franklin in Paris” walking tour, Thomas Jefferson declared himself to be “violently smitten” by the Hôtel de Salm, the palace that houses the museum, and incorporated its design at Monticello. 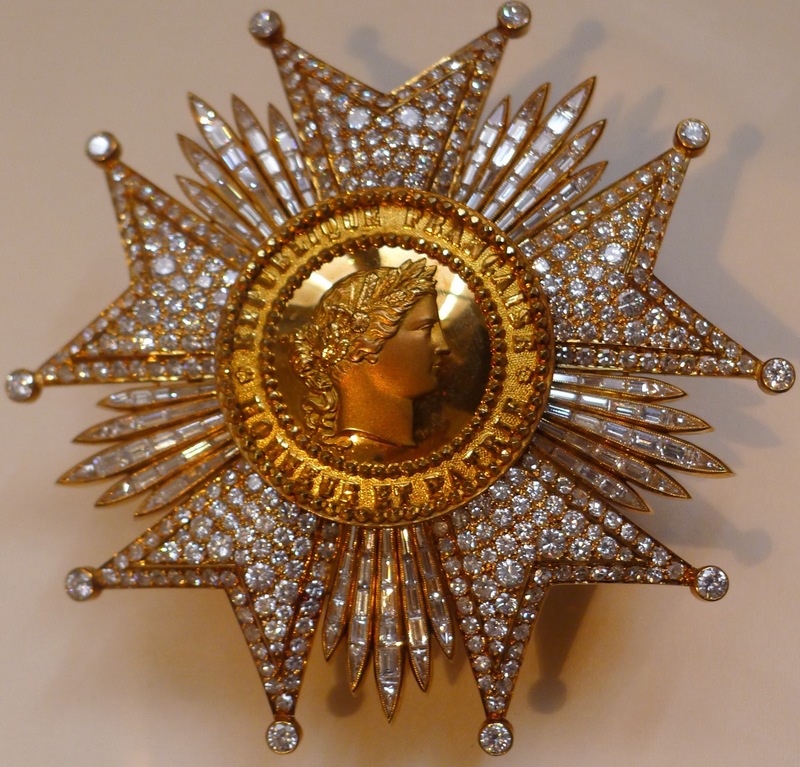 ﻿﻿﻿﻿﻿﻿﻿﻿﻿﻿Displays feature French awards and decorations, the Legion of Honor, European Orders, and World Orders. An interactive room in the museum profiles some of the men and women who have been awarded the Legion of Honor, including Charlie Chaplin, who was made a knight in 1931, an officer in 1952, and a commander in 1971. I’ll have to pay his lakeside statue more respect when I see it again in Vevey, Switzerland. In the 1950s, there were over 300,000 members of the Legion of Honor. 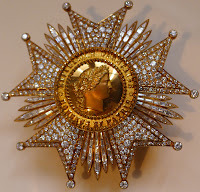 To maintain its prestige, the code of the Legion was revised to limit membership to 125,000 and a second national Order, the National Order of Merit, was created in 1963. Helpful hints: The Museum of the Legion of Honor is FREE from Wednesday to Sunday, not only on the first Sunday of the month. To make the most of your visit, be sure to get a free audio guide at the information desk. This portrait of Wladimer Guedroitz, Counselor and Chamberlain to Tsar Nicholas II of Russia, shows an impressive array of decorations. 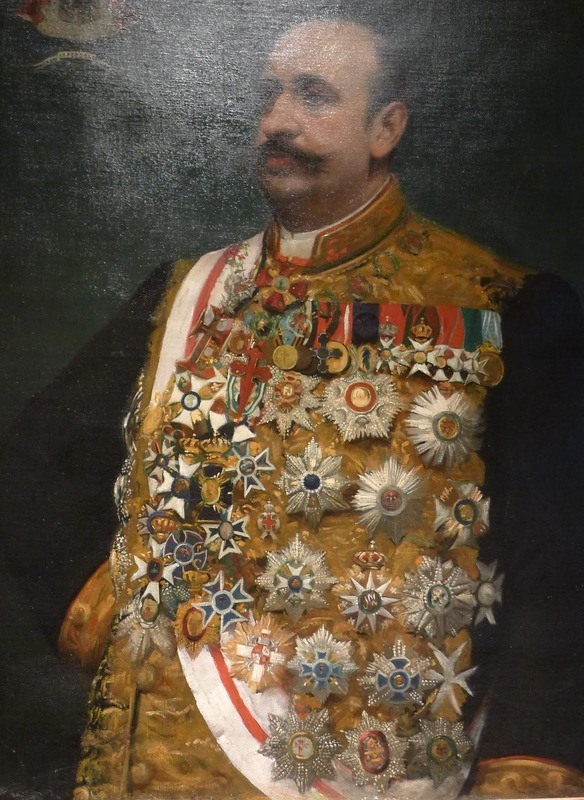 Guedroitz didn't limit himself to wearing his own decorations. He also wore those awarded to his father.